Why Do I Need a Maintenance Program? In the Hudson Valley area, annual maintenance is a key factor in saving energy, reducing costly repairs, and extending the life of your heating or air conditioning system. It will ultimately save you money in the long run, and keep you the most comfortable. 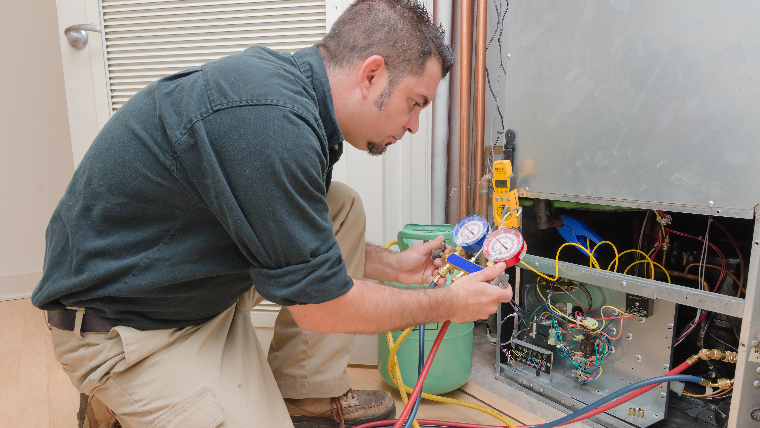 Routine maintenance will keep your HVAC system running smoothly and reduce dirt and debris from clogging the equipment. To keep your family safe and comfortable, we check for equipment safety, levels of carbon monoxide, and adequate combustion air. Enroll in a Maintenance Program Today! Service Club members get at least one free tune-up (per system) every year! Service Clubs are billed automatically every month, so your costs are low and convenient. We offer our Service Club members 50 percent off our service fees when we come to work on your heating or air conditioning system. Your membership can cover just one system, or all of them! We also offer full access to our 24-hour emergency team and free reminders for scheduling your system tune-ups. And don’t forget, those tune-ups are included in your monthly payment! For covered equipment, if repairs are necessary, we also give Service Club members 20 percent off the repair cost. Members of our annual program prefer to pay for their maintenance all at once each year. Annual program members get one comprehensive system rejuvenation tune-up each year (per system). We also offer access to our 24-hour emergency response team, 10 percent off our service fees and repairs for covered equipment, and maintenance reminders for scheduling your tune-up visit. If you have any questions, feel free to contact us at (845) 265-6500.